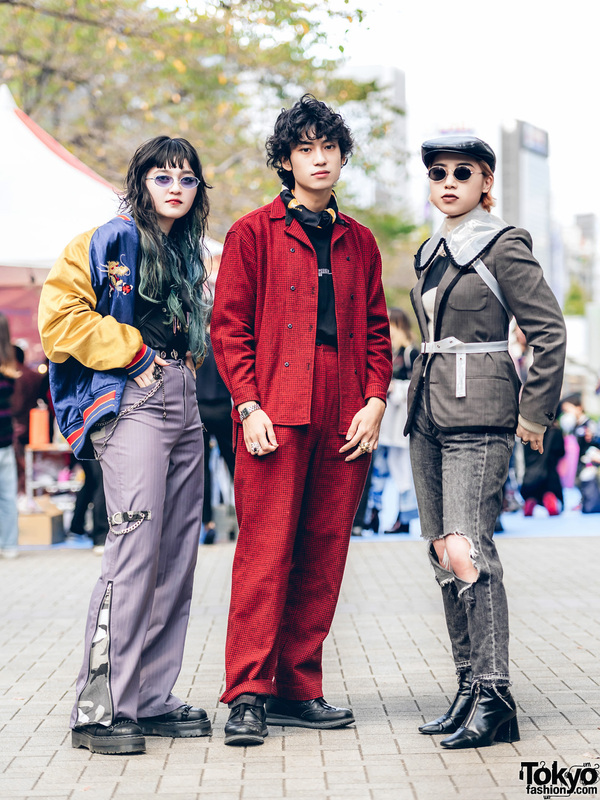 Harajuku shop staff wearing an eclectic ensemble w/ layered tops, painted shorts, leather loafers and accessories. Harajuku girls in bold streetwear fashion style with accordion pleated top, corset belt, plaid skirt, knee high boots, long sleeve shirt over tank top, zebra print shorts, and mid calf boots. 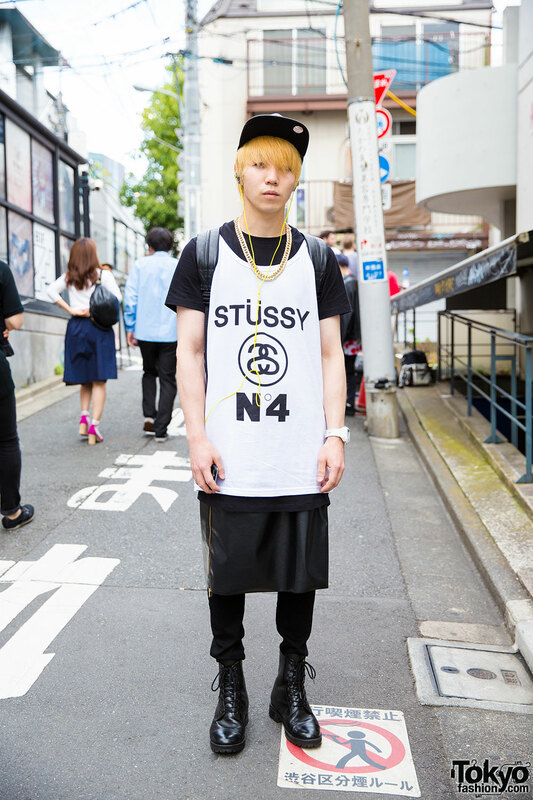 Harajuku guy in sleeveless shirt over black t-shirt, black zipper skirt over pants and combat boots.